The following op-ed was sent in from Gary Fletcher. 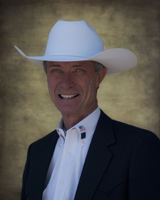 Gary Fletcher is a Vietnam veteran and a successful businessman from Amarillo who has been involved in various civic and non-profit organizations throughout his career. America is hungry for a President who is not a self-interested politician. No more game playing or hedging for re-election. A President who will just tell the plain truth and do what is right for the future of our country. Where does this hunger come from? For over three years now we have had to endure an artificial economy created by the federal government through a series of manufactured crises and threats of default. These crises have allowed Obama to redistribute trillions of our hard-earned tax dollars as he chooses—deciding by personal fiat who will be economic winners and who will be economic losers instead of letting the free market work. Let me explain what I mean by an artificial economy. The TARP bill was the first big bill that bailed out Goldman Sachs, AIG and other private for-profit companies. To let Henry Paulson and then Timothy Geithner send our taxpayer money to their friends on Wall Street is outside the bounds of rational comprehension. This was a totally artificial boost to a select group of insiders to solve a crisis that was created by bad government policy in the first place and could have been handled in a more responsible way. Through its use of monetary policy the Federal Reserve Bank's Ben Bernanke has created an artificial interest rate way below where it would normally be if determined by market forces. These false low rates have robbed every frugal and conservative American that had savings or deposits on interest. The truth is that the Administration is robbing them daily on the books. These artificial rates were a political attempt to encourage people to buy on credit everything from cars to homes to unnecessary junk. These low rates have also allowed the politicians to avoid addressing the real cost of our national debt. Interest rates are only a problem if you owe too much money—remember that interest is the price of money. Now, using a manufactured default scenario the Obama regime is talking about the calamity that is going to occur if interest rates rise. Folks, interest rates are only going to rise when the Fed and Treasury stop playing political games. They will return to equilibrium only when dependent on real world circumstances. The absurd social welfare and engineering programs did little more than satisfy the Democrat base’s need for the government to “do something,” no matter if it was helpful or not. Cash for clunkers, home mortgage refinancing and restructures, unemployment benefits for up to 99 weeks, and Obama's socialized medical program only deceitfully raised short-term hopes—where they didn’t publicly flop. No real solutions or economic benefit came from them—only more bailouts and more debt. And speaking of artificial, look at the credit rating agencies that had Fannie Mae and Freddie Mac rated at triple A right up to the point of default. The ratings no longer have any credibility. Do you need any more proof? How about a peek at Obama's special job council chaired by Jeffrey Immelt. Immelt's GE Corp., a top beneficiary of Obama’s green energy boondoggle, paid “0”—that is ZERO—income taxes for 2010 on billions in profits and is today building a new plant in China with its windfall political gain. President Obama continues to say to this day that he is really working to create jobs, but for two and a half years he has continued to say the same thing. Americans are rightly asking, “How can he look in the mirror or a TV camera and keep a straight face?” Americans look around and see the annihilation of the energy production business to promote an artificial green agenda that has killed jobs and doubled the price of fuel. It is time Obama and his liberal allies gave folks in real America some credit—we look around and see that massive government subsidies are required to keep these operations afloat, and understand that is not real growth. These kinds of actions must stop. We must have fundamentally conservative, financially responsible leadership in order to get our country out of the mess that it’s in. A leader that embraces the idea of common sense and a team of people that have real and relevant business experience is required. If you doubt the necessity and importance of these requirements, just look at where our country is today. Join other conservative leaders at www.ConservativePresident.org to put a stop to this nonsense.